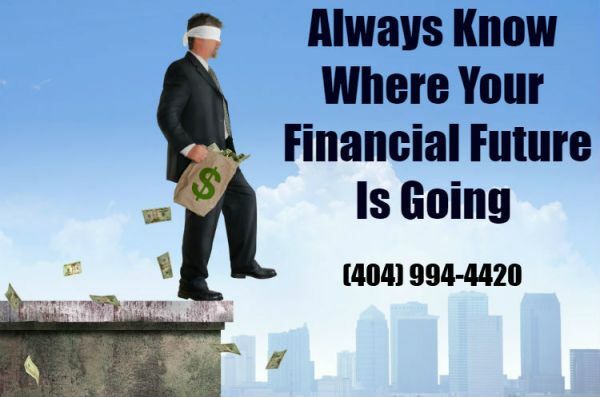 The Financial Advisor and Retirement Planning Consultant of Atlanta gives complete financial services that are tailor made for your personal and business’ select requirements, conditions, and personas. We partner and perform every moment to review what’s most important to you and build long term relationships rooted in trust with our clients. We start your planning by speaking candidly on the 8 wealth management problems that are included with the financial challenges that influence all people at some moment of their lifetime. We provide Georgia tax accounting and wealth management consulting in addition to a complete variety of services. Tax services, business tax planning and preparation, individual tax planning and preparations, estate and gift tax planning and preparation, and IRS representation. We provide financial advising in cash flow and debt management, family risk management, retirement planning, wealth management, legacy planning, education planning, business planning and planning for special situations. We also have bookkeeping services available that range from payroll, sales tax tracking and payment, tax liability tracking and payment, internal control, asset management, accounts receivable and payable, year end processing, inventory, maintenance of bookkeeping, reconciliation of bank accounts, chart of accounts, and QuickBooks. We provide Atlanta, Johns Creek all and GA surrounding areas unique top-quality service, reputable client care, and an organic perspective as the attributes that drive the services provided with our financial advisers.